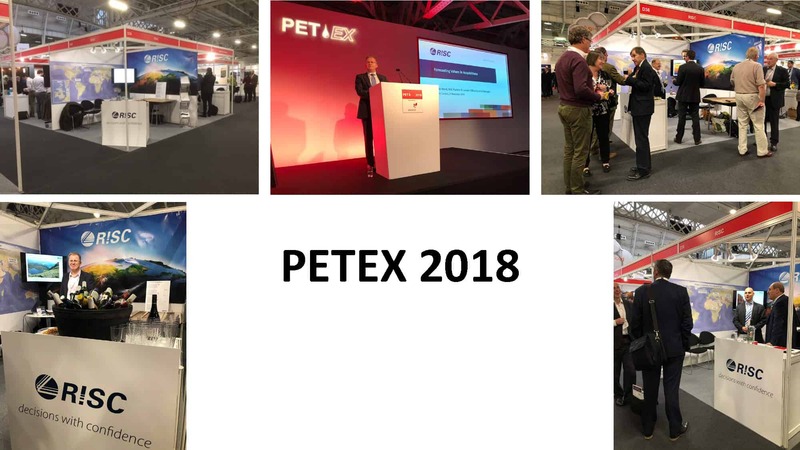 RISC exhibited at the bi-annual PETEX Conference that took place late last month in London, where thousands of the industry’s leading professionals gathered to discuss the latest developments in exploration, development, production and subsurface technology. The event was a great success and showed promising optimism for the oil and gas industry. RISC Partner and UK General Manager Gavin Ward presented on day 1 of the conference to a packed out crowd. His technical presentation ‘Forecasting value in acquisitions’ explored what critical factors should be considered in order to accurately forecast value, using Centrica Energy’s acquisition of Venture Production as a case study for his discussion. The well received talk can be viewed via the industry presentations page on our website. Thanks to everyone who visited us the RISC booth and made the event such a success!